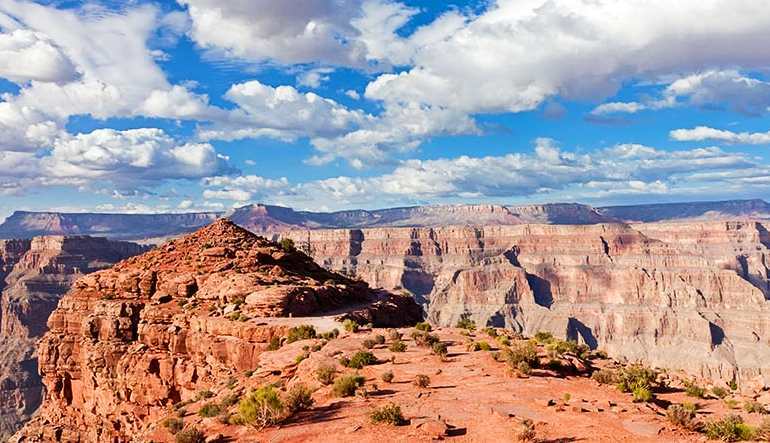 Travel in a sightseeing helicopter with forward-facing seats before setting down on the canyon and exploring several Native American points of interest. This one-of-a-kind luxury tour is a sightseeing gem and cultural eye opener. 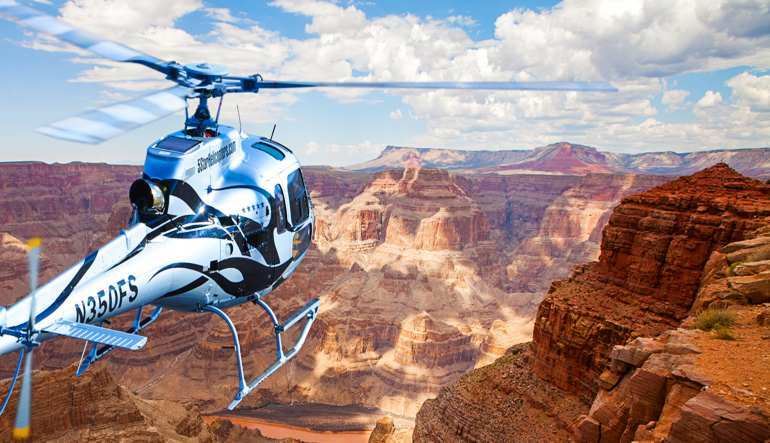 Travel in a sightseeing helicopter with forward-facing seats before setting down on the canyon and exploring several Native American points of interest. 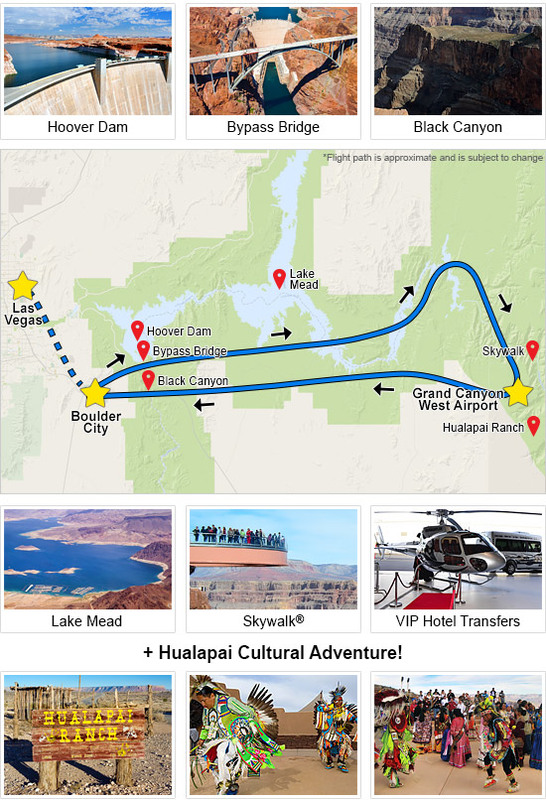 During the 70 minute flight, you'll hover above the Hoover Dam, the Bypass Bridge, the Black Canyon and Fortification Hill, Nevada's extinct volcano. 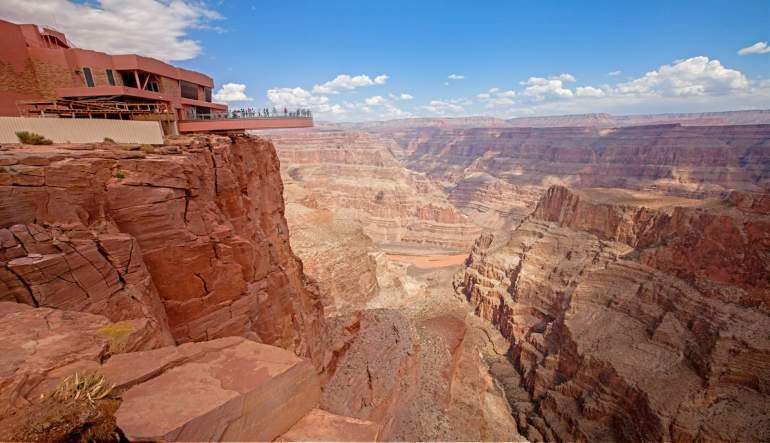 Next, you'll arrive at the Grand Canyon and descend into the giant fissure for an up-close view of the natural wonder. After taking it all in from the open air, you'll touch ground on the Canyon's west rim and get shuttled to Eagle and Guano Points. 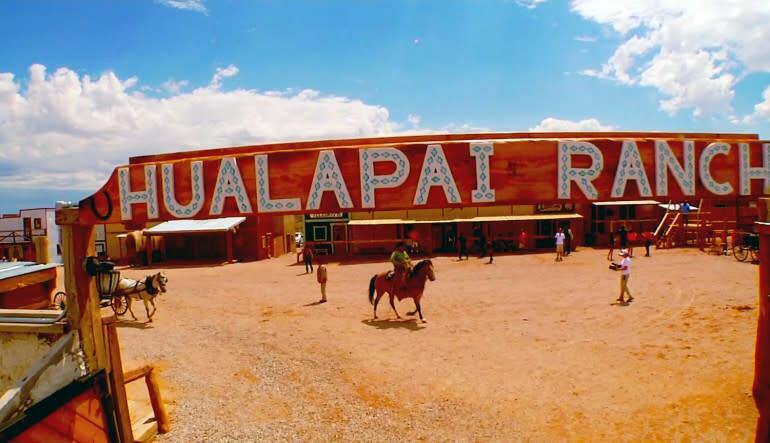 You'll also explore the Hualapai Indian areas of interest. Learn about the tribe's proud culture and catch a live performance of a traditional Native American dance.